Parathyroid Sestamibi Scan Technical Page: How Parathyroid Sestamibi Scanning is Performed. This is a page for Radiologists and Nuclear Medicine Techs. Sestamibi Scan -- Technical Details. Technical Sestamibi Scan Page -- How the world's most experienced parathyroid surgeons perform Sestamibi Scans to identify Parathyroid Adenomas and differentiate normal parathyroid glands from abnormal parathyroid glands. This is a technical page on how the Norman Parathyroid Center performs sestamibi scanning for parathyroid disease and hyperparathyroidism. Much of this information is intended for doctors and technologists who perform Sestamibi scans. 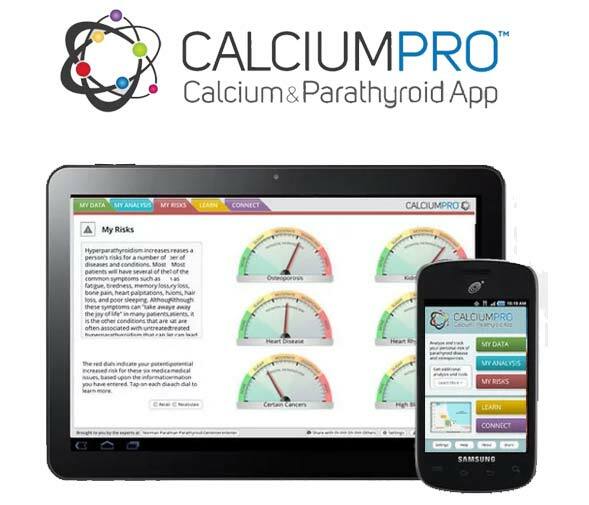 This information will be too technical for most parathyroid patients. If you are a parathyroid patient, you are welcome to read this page, but please do not make this the first page of Parathyroid.com that you are reading--it is too technical and it will overwhelm you. THIS IS AN ADVANCED PAGE. If you want to read about sestamibi scanning, read our Sestamibi Overview page first several times!! (Click Here). The most important thing to remember as you read these pages is that sestamibi scans are wrong more often than they are right. If they are negative they are wrong 100% of the time. If they are positive they are wrong 60% of the time. Scans should never be used to determine if somebody has hyperparathyroidism... they cannot tell you this! Scans are WAY over-emphasized and we wish people would stop getting scans. Remember, scans are wrong more than they are right. Stop getting scans--they will confuse you--and they will be wrong! Procedure Aims of the Sestamibi Scan for Parathyroid Disease. A very simple way to look at these scans is this: The purpose of the sestamibi scan is to detect parathyroid adenomas in patients with sporadic primary hyperparathyroidism. Sestamibi is used to discriminate between single and multi-gland parathyroid disease. Sestamibi will assist the surgeon in localizing a parathyroid adenoma in a three dimensional setting, allowing a more directed operative approach to the parathyroids. The use of the Sestamibi scan for "confirmation" of the diagnosis hyperparathyroidism is discouraged--the sensitivity is not high enough to be used in this manner, (but the specificity is near 100%). We will repeat this concept over and over because this scan is miss-used about 80% of the time! 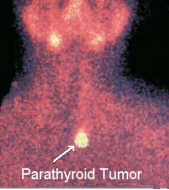 This scan is NOT to be used to "confirm" that a patient has parathyroid disease (except in rare circumstances). This scan is NOT to be used to determine which parathyroid patient should have surgery and which patient should not. IT DOES NOT MAKE SENSE TO DO THIS! The Sestamibi scan is a localizing study to find the bad parathyroid gland, NOT a diagnostic study to diagnose parathyroid disease. It is also a functional study as all nuclear medicine tests are. As many as 10 percent of all patients with primary hyperparathyroidism will not localize with a VERY GOOD quality sestamibi scan, but they still have the disease! It has been suggested by others that a localizing rate below 80% suggests that the technique used should be revised. We agree! Our high rate of detecting parathyroid adenomas has come with increasing experience and has increased yearly. Our adenoma localizing rate is approximately 94% of ALL patients with parathyroid disease who are sent to us, which is nearly all of those with adenomas (our sensitivity in detecting all adenomas within the past 3500 patients is 97.2 %...remember, this scan is to differentiate parathyroid adenomas from non-adenomas). Also note that another 3-4 % or so will have 4 gland parathyroid hyperplasia...will never light up, and more specifically, will never show a single focus of radioactivity. Let us be very clear here again---hyperplastic parathyroid glands are very different than parathyroid adenomas. They will NEVER adsorb enough radioactivity to be detectable by a scan. NEVER. Therefore, a patient with 4-gland hyperplasia must always have a negative scan. Also, many patients with adenomas will have a negative scan because of poor scanning techniques. If you have not read our first page on sestamibi scanning, you MUST read it first. That page shows statistics of scans performed throughout the US and shows that MOST scans done in the US (and around the world) are WORTHLESS, and are negative because of poor techniques used. YOU MUST READ THAT PAGE FIRST... CLICK HERE. Sestamibi scanning will NEVER show a normal parathyroid gland. Sestamibi scanning will NEVER show a hyperplastic gland in a patient with primary hyperparathyroidism. Again, we will repeat this--Sestamibi scanning will NEVER show a hyperplastic gland in a patient with primary hyperparathyroidism. This test is not very good for patients with secondary hyperparathyroidism-who have 4-gland hyperplasia by definition-but it can be helpful. You should NOT expect the same results in a patient with secondary hyperplasia. The best scans in the world will likely not show all four hyperplastic glands, although it may show 2 or 3 of them. The real use of the sestamibi scan for patients with secondary hyperparathyroidism (due to renal disease) is to make sure that there is not a hyperplastic parathyroid gland that has descended too low and is located in the chest or is undescended and located high in the neck. Do NOT expect to see 4 distinct glands in a patient with hyperplasia due to renal disease. Much of what we have learned about sestamibi scanning comes from our experience with Radioguided Surgery for parathyroid disease. We have measured the radioactivity of over 15,000 parathyroid glands in patients who have had a sestamibi scan within 1.5 hours of the operation. We published our first study of this in 1999. It is clear that the use of a probe in the operating room can distinguish the difference between a normal parathyroid gland, a hyperplastic parathyroid gland, and a parathyroid adenoma BETTER THAN THE PATHOLOGIST CAN, and MUCH BETTER THAN INTRAOPERATIVE PTH HORMONE ASSAY. Normal parathyroid glands do not become radioactive over that of fat. The probe will read near zero just like measuring fat. A hyperplastic parathyroid gland will become radioactive, but NEVER more than15% of background (usually around 6-8% of background) (this does not hold for secondary hyperparathyroidism---a different disease). A parathyroid adenoma will become very radioactive and will almost always have radioactivity levels that are more than 20% of background, typically 30 to 80 percent, range 17 to 190 percent. Thus our publication in 1999 is titled "The 20% Rule..." If a parathyroid is removed from a patient's neck and it has more than 20% of background radioactivity it MUST be an adenoma and it does NOT require a frozen section to diagnose it. Furthermore, if you find a normal gland in this patient and it has no radioactivity, then you are virtually assured that this patient is cured (save for the rare double adenoma--less than 1 percent). Thus, a very high quality scan and the PROPER use of the probe and an understanding of "Contained Radioactivity" allows an expert parathyroid surgeon to perform MOST parathyroid operations in under 15 minutes with a cure rate of 99.8%. --the highest resolution and most accurate sestamibi scans in the world. Examination Time: Ten minutes to 1 hour (10 to 20 minutes if being performed immediately prior to minimal parathyroid surgery (the MIRP procedure) using intraoperative nuclear mapping...see below) (About 98% of our scans are completed in 20 minutes or less). Patient Preparation: Some examiners prefer to give lemon juice within 20 minutes of initial imaging (20% juice/80% water). This is thought to decrease the uptake by salivary glands. We do NOT routinely do this and have not found it to be useful. Collimator: Low energy, high resolution. Pin-hole colimnation should NEVER be used! IMPORTANT!!! Dual isotope subtraction imaging should NEVER be used. In our recent study of 6,500 scans from across the US between 1/2003 and 11/2006, only 1.8% of institutions are using dual isotope techniques. They are always graded as some of the worst scans, including those from the Mayo Clinic (Rochester), Cleveland Clinic, and Johns Hopkins. Yep, they are some of the few hospitals in the entire US that use this technique and they have some of the worst scanning results in the US. A dual isotope scan will almost never show an upper adenoma (50% are uppers! 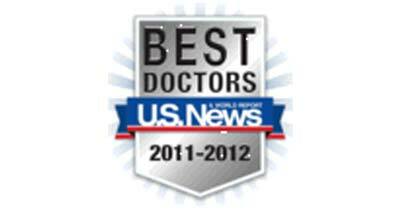 ), and they are less accurate at finding the lower adenomas. 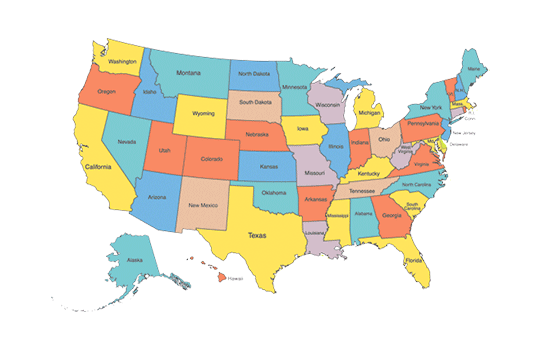 Dual isotope studies are only positive in 28% of scans in our review of 6,500 scans from across the US. This is unacceptable! It is not standard of care to use dual isotope studies. The results are not good enough and will never show small upper tumors!!! Patient position is critical if the surgeon is to use this information to guide the operation.The patient should be positioned in front of the camera just as he would be on the operating table...with a roll under the shoulders and the neck extended. The neck is kept midline for all studies. LAO and RAO are obtained by moving the camera, NOT the patient's head. This point is extremely important so that all scans on each patient are obtained with the camera the same distance from the patient's neck, therefore, there is uniformity in the magnification of each view. Additionally, this will provide uniformity from patient to patient making these scans easier to interpret. Extend the neck as far as possible (to mimic the position on the operating room table) while still comfortable, so as to decrease chances of movement. The camera MUST be positioned as close to the patient as possible. THIS IS IMPERATIVE if you want crisp, clear pictures. This is one of the biggest mistakes made across the U.S. We must say this again--it cannot be over-emphasized... the camera MUST be as close to the patient as possible!! This is the most important information on this page! We perform nearly 1400 sestamibi scans per year, and our volume of cases dictates that we review nearly 2500 scans per year that have been performed at outside institutions. This fact means that Dr. Norman has seen far more sestamibi scans than any other physician... so we know what works and what does not. The following list is very dear to our hearts and we feel very strongly that these simple changes will make dramatic changes in both the sensitivity and specificity of these scans. Lateral views of sestamibi scans are worthless. We have dozens of examples where a beautiful AP scan will subsequently show nothing on lateral views, yet a number of hospitals obtain them in order to get an idea of depth. It doesn't work! Posterior views are worthless. Yes, we see this done from time to time. Please don't embarrass yourself by getting posterior views. These views will not show even the biggest parathyroid tumor. LAO and RAO are the most important views!! This is what many (most) techniques miss. By viewing from an oblique angle, many parathyroids which are "hidden" behind a thyroid lobe become obvious. The most common case is one where you cannot determine if a hot spot "on" the thyroid is a thyroid nodule or a posterior parathyroid. When comparing the LAO and RAO to the AP it becomes incredibly obvious what it is. We have numerous cases where poor quality AP views (not really positive and not really negative) became suddenly positive after LAO and RAO films were obtained. These views also give the three-dimensional orientation that is desired: superficial adenomas appear to "move" from one side of the neck to the other when comparing LAO and RAO, while deep adenomas (tracheo-esophageal groove) will stay near the midline while the more anterior thyroid seems to move from side to side. This is also how intra-thyroid parathyroid adenomas are detected. Trust me, this is a no brainer.This paragraph is the most important information on this page (other than too little of a dose being used or the camera not being placed close enough). Our standard protocol (which we rarely follow - but we do recommend highly for institutions that do not perform hundreds of these scans per year) is to obtain 5 early and 4 delayed views (if the patient is not going to the operating room): Ant neck, Ant neck with marker (early only), Ant mediastinum, LAO, and RAO. Each image is obtained at 8cm or less. The camera MUST be nearly touching the patient! Early views are obtained about 5 minutes after injection. Delayed views are obtained between 1.25 to 2.5 hours. The mediastinal view must show at least the top half of the heart. NONE of the other views should show more than a small sliver of the heart. If too much heart is showing it will decrease your quality! Without mediastinal imaging down to the level of the heart 4 to 5% of adenomas will be missed. Only a small sliver of the heart is to be included in LAO and RAO views. If performing immediately prior to performing a minimal parathyroidectomy, the timing is more critical -- see below. If the adenoma shows within the neck on the early view (most common scenario) then we do not get a delayed mediastinal view to save time and effort.Also note, the delay protocol changes according to how the early films look. If they look good, we speed things up. Better for the nuclear medicine department, better for the patient, and better for the surgeon if the patient is going directly to the OR (this is the ideal situation...the nuclear medicine department takes part in the treatment of this disease rather than playing just a diagnostic role. IMPORTANT... nearly 98% of scans that are positive will be positive with the first three pictures (an AP, and a LAO, RAO). This is all we do on ALL patients going to the operating room. Also, this is all we do on about 90% of ALL patients that we scan. Delayed scanning only helps with about 2% of patients. THUS... if a criteria for positivity is that a hot spot stays on delayed images while the thyroid washes out... you will MISS at least 20% of positive scans. Yes, differential washout during delayed imaging CAN be helpful... it should NEVER be a necessary criteria for calling a scan positive!!!). We see at least 1 scan per week that was performed at an outside hospital that is a clear positive scan but is read as negative because the parathyroid tumor washes out at the same rate as the thyroid. This is NOT a criteria for a parathyroid tumor!!! We acquire each view for a fixed time rather than a fixed number of counts. This way we find more uniformity with all images (early and delayed) which makes comparisons easier and subtle findings more apparent. You cannot have too much of the heart and/or liver in the field. This will wash out the thyroid/parathyroid. You should see just a sliver of the top of the heart (ventricles). Early Images: Anterior, ant + mediastinum, LAO, and RAO views at5 minutes, (one anterior with markers and one without). Markers are placed on the sternal notch, and 2 laterally along the lateral border of the SCM muscle 4 cm apart (distance guide). Note... since we do 8 of these scans every day, we no longer perform scans with markers...UNLESS 1) the tumor is displaced from the thyroid (in the chest or near the clavicles, for example), or 2) the patient has had their thyroid removed already and thus the thyroid is not available as an anatomical landmark. Delayed Images: Timing discussed below. Anterior, ant + mediastinum, LAO, and RAO views are obtained.The lateral oblique views are at 31 degrees with the patient's head midline. Note: often we do the delayed films earlier (see below) if the adenoma shows up on the initial scan. Why 31 degrees? This is a frequently asked question. We have found that rotating the camera any further than this means that the patient's shoulder gets in the way, necessitating moving the camera further away from the patient's neck. This means that all the scans will not be obtained at the same distance from the patient's neck (as noted above, we aim to maintain the same distance for all views). We have done enough to know that 31 degrees is about all you can rotate the camera without pushing the patient's shoulder. DO NOT PERFORM OBLIQUE IMAGES BY ROTATING THE PATIENT'S HEAD. YOU WILL NOT GET THE SAME RESULT. EXTREMELY IMPORTANT!!! Lateral views are NEVER required. The importance of the LAO and RAO views is that they allow the parathyroid adenoma to be localized in three dimensions in relationship to the thyroid gland. If the adenoma is located at the level of the thyroid (in depth from the skin) then it will appear to "move" in the neck when comparing the right and left views. If the adenoma is located deep to the thyroid, it is almost always in the tracheoesophageal groove. In this case, the position of the adenoma will appear to be the same on the LAO and RAO views while the thyroid "rotates" from side to side. This 3-dimensional localization will help the surgeon by giving a good estimate of the adenoma depth. The use of a Pin-hole collimator is absolutely the worst thing you can do and is the second most common problem we see in scans from across the US. DO NOT DO THIS! It will destroy all the fine details that you can achieve by placing the camera very close to the patient. Trust us... and try it. You will be amazed how you are destroying your detail with this technique!!!! DON'T DO IT! There are very few indications for delayed images after 2.5 hours. Occasionally (rarely) thyroid activity can be a bit hot and re-scanning at 3 hours may be helpful. We do NOT think this is a common occurrence...in fact, it is extremely rare. We had (past tense) been using SPECT imaging for all patients in which there is a questionable adenoma (about one in 20). updated We used to think that SPECT analysis could increase sensitivity and specificity several percent, and therefore, used it selectively. If the standard views suggest single gland disease but cannot definitively say yes or no, then we would (in the past) perform a SPECT immediately after the delayed films.We strongly believe that SPECT adds NOTHING that the LAO / RAO views don't already give us. In fact, the ONLY time we do SPECT is when the tumor is located deep in the chest next to the heart. In our review of 6,500 scans from across the US, those that had a SPECT were typically graded LOWER than those that obtained planar images only. Remember, even patients that have a negative scan still has the highest likelihood of having a SINGLE adenoma, but the chances of having 4 gland disease have been increased from 3% to about 7% (depending on how good your scans are). Some centers perform a SPECT on all patients. We think this is overkill and unnecessary almost all of the time and, is usually NOT as good as doing simple planar with LAO / RAO views. THIS SHOULD NEVER BE DONE! Furthermore, if the patient is being taken directly to the OR, this wastes valuable time. We NEVER get SPECT scans unless it is in the chest. To summarize on our feelings of SPECT... 1) there is no reason to do SPECT only and this should NEVER be done. 2) Routine use of SPECT in addition to planar imaging is unnecessary and will always be un-helpful if the planar images are performed as outlined on this page. Most uses of SPECT fall into this category and this really should STOP!. 3) SPECT can be helpful in SOME re-operation... but limited to only those that are displaced from the thyroid (such as those that are deep in the chest), or when a previous thyroidectomy has been performed). We perform about 1000 parathyroid operations per year, and we use SPECT about 15-20 times per year... on deep chest operations. The only reason to do SPECT is so the radiology department and radiologist can bill an additional $1000. This MUST STOP. REMEMBER!!! A good parathyroid probe used in the operating room is MUCH better at finding a hot spot of radioactivity than is the camera. HOWEVER, using a probe designed for breast surgery or melanoma will NOT provide this high degree of sensitivity and specificity. Radioguided surgery for breast and melanoma is VERY DIFFERENT... In these cases, the probe is designed to detect a hot radioactive lymph node within a cold background. Of course, in parathyroid surgery, the probe needs to detect a 'very hot' parathyroid from within a 'hot' background (or a near-similarly hot thyroid gland). Thus, if your surgeon is trying to perform radioguided parathyroid surgery and he/she is using a Neoprobe, or any other probe (C-tract, Navigator, etc) that is NOT fitted with a specific 'Norman Parathyroid Probe' which is specifically collimated for use during parathyroid surgery (hot vs. hotter), then it WILL NOT WORK! Again, only parathyroid probes are designed to distinguish hot from hotter, and the probes that are designed to work with breast and melanoma lymph node mapping WILL NOT WORK on some cases where the parathyroid is in close proximity to the thyroid. We have seen malpractice law suits filed because a surgeon used the wrong probe. Don't make this mistake. UPDATED: 2006. We VERY RARELY do any delayed imaging at all on the day of surgery. The scan will take about 10 to 20 minutes (two, three, or four views) and off to the OR they go. About 25% of patients have such a beautiful scan at 10 minutes (two views) that this is all they get. About 55% are clearly positive including estimates on depth of the tumor within the neck (obtained by oblique views) after three views that this is all they get. Only about 20% of patients have a fourth view (always an AP) which will often show the tumor when compared against the very first view (also an AP). Thus, on about 25% we simply to an AP and one oblique. The oblique provides depth information to the surgeon. IMPORTANT... if you do the scans right, 98% of positive scans will be positive within the first 15 minutes... delayed scanning will only get you another 2%! AGAIN..... Delayed scans beyond the first 15 minutes will give you only very incremental improvements in positivity.... if you are doing the scans right in the first place. If you are waiting to see the thyroid wash out completely leaving only a single focus...... then you are missing the true value of this test and need to re-think it. THIS IS NOT CORRECT! Remember, the idea is to be in the operating room at a time when there is a high degree of differential radioactivity between the thyroid and parathyroid...that is to say, after the thyroid washes out but before the parathyroid washes out. If you wait too long, the probe won't help as much as it could. This technical page on Sestamibi Scanning for Parathyroid Disease was written and these techniques have been developed by Hemant Chheda, MD, Brandi Reardon, and James Norman, MD who interpret over 4000 parathyroid scans per year. ABOUT THE AUTHOR: Dr Chheda is a Clinical Associate Professor of Radiology at the University of South Florida and Medical Director of Nuclear Medicine at Tampa General Hospital where he has performed more than 350 sestamibi scans each year since 1995 (when radioguided parathyroid surgery was developed with his assistance). By 2006, he averages overseeing more than 2000 Sestamibi scans per year performed for Dr Norman's patients. Dr. Chheda is the nuclear radiologist for the Norman Parathyroid Clinic and he gets daily written feedback from Dr Norman with the results of every operation so as a team, their accuracy is extremely high. The Chief Technologist is Brandi Reardon who performs the vast majority of Sestamibi scans, and is considered by many to be one of the world's foremost experts on the technical aspects of Sestamibi scanning for parathyroid disease. The extremely high accuracy of scans performed by the Norman Parathyroid Clinic and Tampa General Hospital nuclear medicine department is due in large part to Brandi's expertise and constant attention to detail which allows our scans to get better year after year. Dr James Norman has seen and reviewed more sestamibi scans than anybody else in the world. He currently performs about 1800 parathyroid operations per year and the vast majority of these patients come with scans performed at another hospital. About 85% of outside scans are performed with substandard techniques and about 75% of these are read as negative because of the poor techniques used. Poor sestamibi scan techniques are STANDARD in the US, and the big university hospitals are NOT any better at it than the small community hospitals. It all depends on technique. Dr Norman has the opportunity to review about 4,500 sestamibi scans per year--from all over the US and many foreign countries. Dr Norman has seen every possible parathyroid scan and every technique ever used. 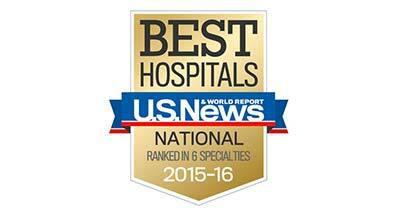 Our excellent scans are a result of dedication to this disease, tremendous volume, and a great team. More on Sestamibi for Minimally Invasive Parathyroid Surgery.The newest advance in parathyroid surgery. Out-patient, quick procedure.